I hope you have a wonderful, drama-free day! 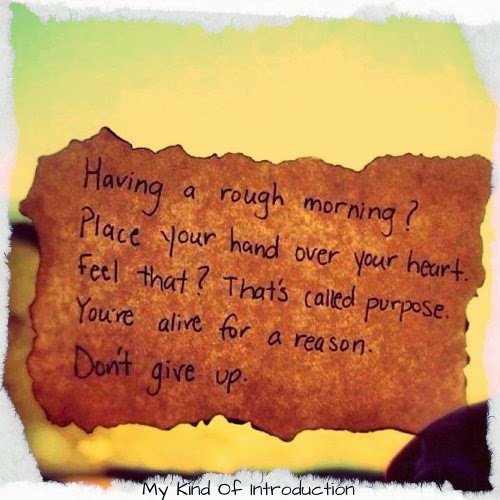 "Having a rough morning? Place your hand over your heart. Feel that? That's called purpose. You're alive for a reason. Don't give up."